Chances are you’ve heard of the widely popular free game called Fortnite: Battle Royale. As of February 8, Fortnite: Battle Royale had a total player count of 45 million. Although the game has been incredibly popular on the PC platform for the last couple of years, now, console players can enjoy what the game has to offer. First off, what is a Battle Royale game and what does it mean? A Battle Royale game is an online game where you and a couple of friends are placed on a map with 100 other players. Your primary goal is to do whatever it takes to be the last one surviving. Your prize: bragging rights to your friends and a Victory Royale to put on your Snapchat story. The feeling of being #1 is like no other, and that is the reason why Fortnite and the whole Battle Royale series has been popular among the gaming community. Fortnite has separated itself from its competition by providing the ability to build wherever you are on the map and essentially create endless possibilities. This polished, cartoony version has made it stand out from its competitors such as H1Z1 and Player Unknown Battlegrounds (PUBG). It has also separated itself by making Battle Royale mode free for anyone to play, although the full game starts at $29.99. The free mode has helped the game’s player count because there is no risk of downloading the game and not liking it. The impact Fortnite has had on people is monumental. A Twitch streamer by the name of Ninja started streaming Fortnite when it first came out. Taking his viewership from other Battle Royale games, he hit perfect timings when Fortnite blew up with popularity and translated that into over 5 million followers and 170,000 subscribers on Twitch. Each subscriber costs $5. That’s over $850,000 a month that Ninja makes for playing the game that he loves. However, some parents believe Fortnite has had a negative impact on their children due to exposure to shooting other players and violence. Parents are concerned about how video games such as Fortnite may inspire violent behavior in their children. But the link between video games and violence is almost nonexistent. Christopher Ferguson, a psychology professor at Stetson University, told NBC News that "It's hard to attribute video games to any kind of violence in society," and there isn’t "any evidence to support this idea.” The current ESRB rating for the game is T for Teen, and is meant to be played by people age 13 and up because of the portrayal of violence in the game. Although most people ignore the rating, parents should always know what their children are playing. If you are yet to play Fortnite for the first time, it’s not too late to jump in as the popularity of the game shows no signs of slowing down. 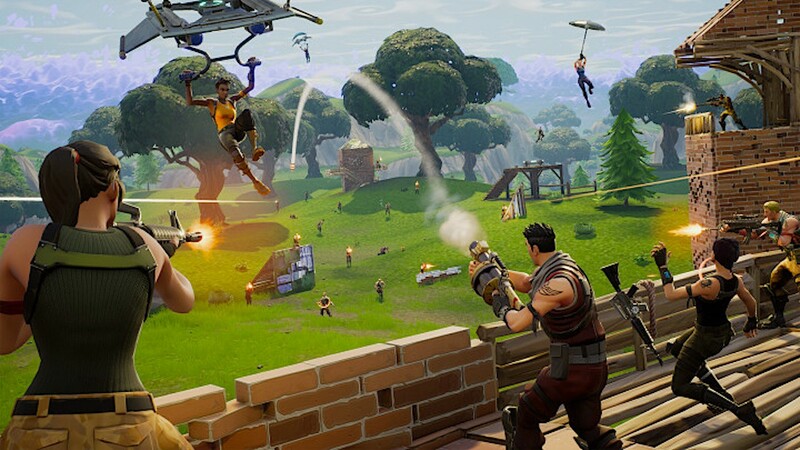 Anyone can find a way to enjoy Fortnite; whether you decide to land Tilted Towers or Lonely Lodge, you will enjoy your time playing, which is what makes the game so memorable and why never-ending conversations regarding Fortnite will always be within earshot. For some, it’s just a game. But for others, it’s the lifestyle of the 21st century. Prom is almost here. Are you ready? The student versus staff basketball game is one of the most highly anticipated events of the school year. Find out how the students fared against the staff in 2018.